Home Blog 5G Energy efficiency for 5G networks – how to make it? One of the key requirements for 5G is the reduction of network energy consumption. Example techniques to assure high energy efficiency in mobile networks include: the use of lean carrier, dynamic beamforming, efficient energy saving schemes for Small Cells, virtualization of the network and utilization of dense deployments. As far as I know, there are no strict values defined in any recommendations yet regarding the specific target energy level in bits/Hz/J. 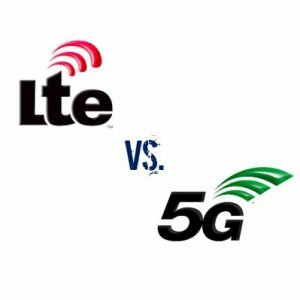 However, the general target is that the energy consumption for 5G should not be larger than that of today’s networks (IMT ), or larger than half of what the current networks consume (NGMN ), while still supporting 1000x capacity increase. This means the energy efficiency of 5G systems should increase by a factor of 1000x (IMT) or 2000x (NGMN). 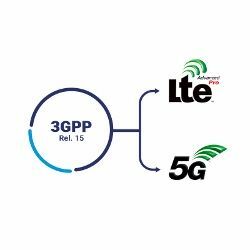 3GPP also wants to evaluate and compare different solutions first . Energy efficiency in the network can be achieved by techniques that span from PHY layer to up to networking and architecture levels. Below a subset of those is presented. Lean carrier design – a radio frame without (or with limited) “always-on” signals like Cell-specific Reference Signals. This approach aims at minimization of the transmission that is not directly related to data transaction. On one hand it provides more time without any transmission (at the network side) and on the other hand the UE can also be longer in a sleep mode. 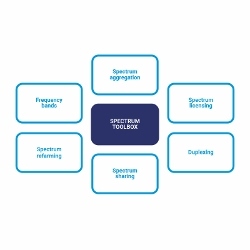 Dynamic beamforming – utilization of advanced beamforming and MIMO schemes enable focusing most of the transmit energy towards a specific receiver (localized transmission), which in turn decreases the energy being dissipated over an area where there are no users, thus saving this energy. Dynamic energy saving schemes for small cells – a concept where the network nodes transmit only when and where needed. This enables utilization of the cell being OFF in the times when there are no users to serve (according to real life measurements most cells are “empty” for a significant part of the day). An example could be an energy saving scheme with two level sleeping: deep sleep, where no synchronization is possible; light sleep, in which discovery of the cell is possible and access is possible (cell transmits only necessary signals); and in normal operation mode – enable data traffic transactions. Additionally, in this CP/UP split may be utilized, where macro sites provide control plane connectivity and the small cells are used as pure UP nodes (i.e. capacity/data boosters that can be switched on only upon need). Densification of the network with very small cells – bringing more and more nodes to the network and reducing the ISD and distance to a user (i.e. deploying them below rooftop) reduces the pathloss and thus the necessary power to reach a user (and this in turn decreases the energy utilization at the UE side and required energy at the individual network node). Network virtualization and advanced network sharing – utilization of single infrastructure by multiple operators, especially for dense networks, described just above, with multitude of small cells, divides the energy consumption for each participating operator. Additionally, the network slicing concept provides the possibility to utilize only the necessary functions that are tailored and optimized for a specific application. These functions can be flexibly assigned to the processing nodes, thus can be deployed in the most efficient “places” with respect to e.g., energy efficiency. Additionally, the hardware can be utilized more efficiently benefiting from pooling gains. by applying the following principle: transmit only when needed, as fast as possible, utilizing large spectrum, focus the energy with directive antennas and go to sleep as fast as possible.